Peter Erlinder, Victoire Ingabire, and the BBC are all criminals in Rwanda. President Paul Kagame has accused all three of genocide denial and his Chief Prosecutor may even indict the BBC. KPFA Weekend News Anchor David Rosenberg: Rwanda’s Chief Prosecutor, Martin Ngoga, and a special Rwandan commission are now investigating the BBC for the crime of – quote unquote – “genocide denial.” Ngoga investigated and indicted US attorney Peter Erlinder after his arrest in Rwanda in May 2010, and Rwandan political prisoner Victoire Ingabire after her arrest in October 2010, also for the crime of so-called “genocide denial.” The BBC, however, is not in prison in Rwanda, as Peter Erlinder was and as Victoire Ingabire remains. KPFA’s Ann Garrison spoke to Peter Erlinder. KPFA/Ann Garrison: Peter Erlinder, could you explain why you were in prison in Rwanda, in 2010? Peter Erlinder: I went to Rwanda to consult with Victoire Ingabire, who was a presidential candidate at that time, who had been charged with genocide denial because she had asked why the Hutu victims weren’t remembered on the memorials to genocide victims. And I found myself charged with genocide denial because of stories and commentary that I had written in the international press and because of statements that I made about the acquittal of the Hutu leaders of the Habyarimana government, who had been acquitted of planning and conspiracy to commit genocide by the International Criminal Tribunal for Rwanda. KPFA: And you were in prison for how long before the international campaign secured your release? Erlinder: I was in prison for approximately a month. BBC: Rwanda’s institutions have been used by Paul Kagame to stifle dissent. 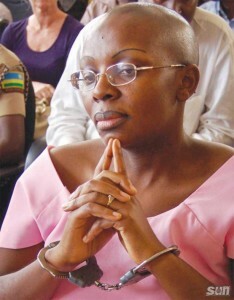 Hutu opposition leader Victoire Ingabire returned from exile in 2010 to stand against the president in the last election. Victoire Ingabire: There is no justice in Rwanda. There is no democracy in Rwanda. People are afraid to say what they think. We have to talk about what happened in Rwanda in 1994. 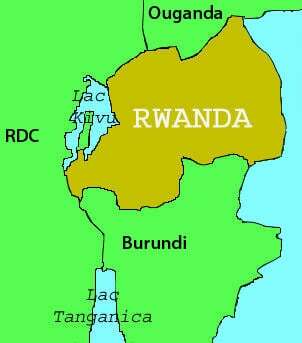 KPFA: Now Peter, Rwanda has already banned the BBC’s native Kinyarwanda language broadcast, as it did in 2009, after again, accusing it of genocide denial. Erlinder: And what I might say about that is that, of course, what that means is that Kinyarwanda speakers cannot hear the debate about the BBC broadcast. So it really doesn’t hurt the BBC, but it does prevent the Rwandan people from hearing the debate about the documentary. KPFA: And, if Rwandan Chief Prosecutor Ngoga indicts the BBC and/or its producers, they would be unable to do any more on-the ground reporting in Rwanda without risking arrest. Erlinder: It would cut off the flow of information to the Rwandan people about their own government completely. The BBC documentary Rwanda’s Untold Story Documentary on Vimeo.